ALPS OutdoorZ, premiere manufacturer of extreme-duty hunting packs and gear for big-game hunters, turkey hunters, and waterfowlers, is committed to reversing the alarming decline of hunting participation numbers and to help expand new hunter recruitment efforts. To kick off the company's Save The Lifestyle initiative, ALPS OutdoorZ has introduced the Save The Lifestyle Mentor Pledge. #TITANAmbassador Carter “Big Boy” Andrews is a keynote speaker at the POMA Business Conference on June 19 in Wichita, Kansas. Are you making the most of your time afield? 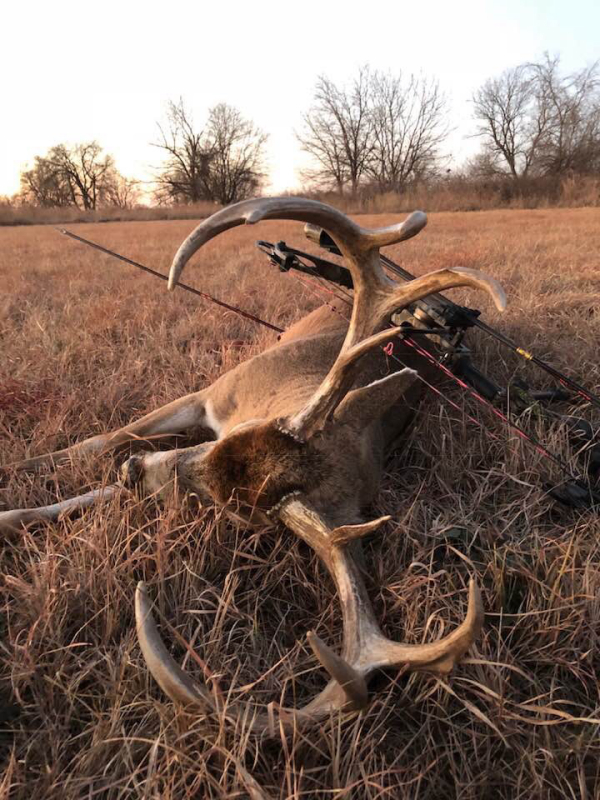 Whether you're searching for shed antlers, scouting post-season whitetail sign or in pursuit of spring gobblers the powerful and easy-to-use tools of ScoutLook can greatly contribute to hunting success, while going well beyond predicting just weather and wind. Mossy Oak and American Buffalo Knife and Tool Company have teamed up to bring hunters a trio of new knives with Mossy Oak patterned handles. All three knives are immediately available. Realtree has two open positions: Community and Content Manager, and Graphic Designer. For NASCAR rising star driver Jeb Burton, racing is in his blood. But, when the Halifax, Virginia native is not behind the wheel of his NASCAR Xfinity Series stock car, Burton can be found outdoors enjoying a hunting and fishing lifestyle that takes him far away from the fast-paced motor speedways of his “day job.” The show, premiering in July 2019, will focus on Jeb Burton and his life on-and-off the speedways of NASCAR while also featuring his passion for hunting, conservation and the outdoor lifestyle. This week on The Revolution with Jim and Trav the boys are discussing Habitat for Hunters, wildlife land management. 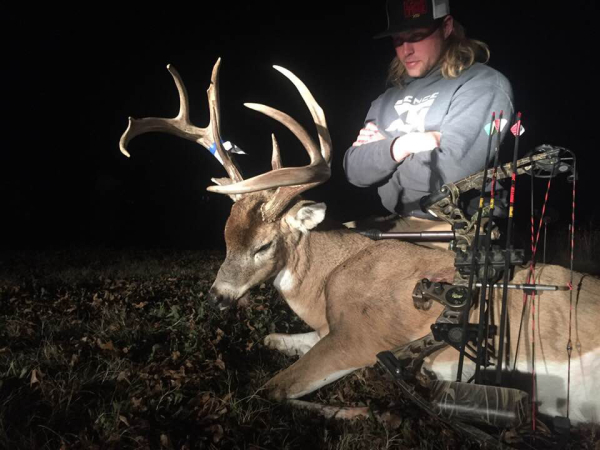 Joining Jim and Trav will be Terry Drury, co-host of “Bow Madness” and “Drury’s THIRTEEN”, plus David Morris with “Tecomate Whitetail Nation” and Carley Julien, a contestant on “The Brigade – Race to the Hudson” premiering on Outdoor Channel, April 22 at 8 p.m. ET. Monster Meal, a division of Tennessee Farmers Cooperative is excited to announce the hire of Michael Hecht as National Sales Manager. Rinehart Targets® has announced it has brought on seasoned sales executive, Joe Mulheim as its new National Sales Manager to continue Rinehart’s growth in the U.S. Mulheim will be responsible for the company’s sales team, driving revenue, widening product distribution and retailer network, and general management responsibilities. Elite Archery today released the latest in its 2019 bow lineup: the Valor. Coming in at 28.75” axle to axle, with an ultra-forgiving 6 13/16” brace height, the Valor puts new meaning to the word value. With a retail price of just $749, the Valor is being hailed by dealers as the must-have offering for bowhunters looking for a sub-$1,000 bow. Spend less time prepping and more time hunting with the help of the Realtree Half-Ton Hauler Lift-Assist and Swivel Utility Dump Cart by OxCart . ALPS OutdoorZ continues to expand its waterfowl gear product line with the introduction of two new decoy bags—the 6-Slot Goose and the 12-Slot Duck Decoy Bags. Both bags are designed to provide an organized, convenient, and mess-free means of transporting decoys in any waterfowl environment. The Realtree Pink Camo Silicone Band Compatible with the Apple Watch is ideal for the outdoors-loving woman who appreciates both style and durability. The silicone band is made using durable silicone and stainless steel and provides a smooth, comfortable feel. MTN OPS, LLC, the leader of outdoor performance supplements, today announced that the company has partnered with acclaimed outdoor enthusiast and author Eva Shockey to launch a unique product line of performance supplements targeting women. Cordova Outdoors, the leading cooler brand of outdoor enthusiasts and the officially licensed cooler of the National Rifle Association, now has available NRA-logo coolers for purchase through the Cordova Outdoors website. Lethal® Products announces Jon and Gina Brunson continue to be Always Lethal with their highly-popular, outdoor television show, Addicted to the Outdoors. Legacy Sports International, a leading U.S. importer of firearms and shooting accessories, has reaffirmed its support for hunting and conservation as a 2019 Champion of Delta Waterfowl Corporate Sponsor. The Rocky Mountain Elk Foundation supports the confirmation of David Bernhardt as the new secretary of the Department of Interior (DOI). The U.S. Senate confirmed David Bernhardt to serve as Secretary of the Interior on a bipartisan vote of 56 - 41. The Congressional Sportsmen's Foundation (CSF) has strongly supported this confirmation process from the beginning, emphasizing to Senate leadership that Bernhardt has demonstrated his dedication to the sportsmen's community. Hi Mountain Seasonings has unveiled two new point-of-purchase (POP) displays: the 2019 Spring display and the “Cook In or Cook Out” display. Both have been carefully designed to enhance the retail shopping experience, and for a limited time, shipping is free for either display. More than seventeen hundred archers from eighty-seven Alabama schools competed for top honors and the opportunity to advance to the NASP Eastern National Championships on May 9-11, 2019 in Louisville, Kentucky. Of the teams that competed in the state tournament, fifty two have registered to attend nationals. This is an open letter to those who attend both IBO and ASA archery tournaments as sponsors, vendors or competitors. By this time, you are well aware of the decision by Mike Tyrell and the ASA to schedule on top of our first leg of the National Championship Triple Crown being held at Pipestem Resort State Park, May 16-19. I want to be very clear as to the IBO’s role, or lack thereof, in this problematic decision which lacks empathy for those involved and overall good judgement. Casey Kaufhold, 15, of Lancaster, Pennsylvania, had two big wins in Arizona this month. Alabama S3DA held their 1st regional qualifier of the 2019 3-D season in conjunction with Marshall County Bowhunters in Albertville, Alabama. Alabama S3DA shooters received great hospitality and faced a very challenging 3-D range. Move over “Game of Thrones,” Outdoor Channel has a unique television series that combines adventure (if you like freezing waters), competition, teamwork (with a dash of flaring tempers), and money. 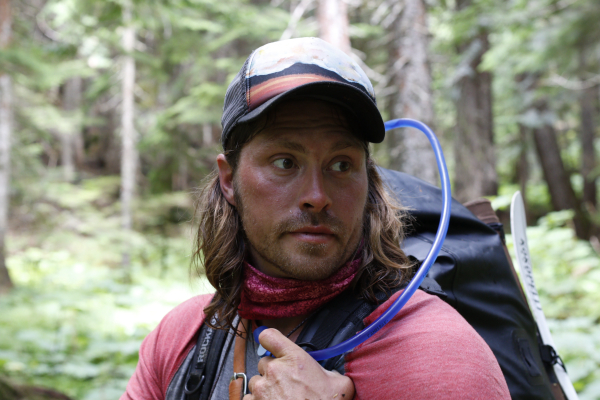 “The Brigade: The Race to Hudson”(premiering April 22 at 8 p.m. ET/PT) follows an historic fur trade route, called the York Factory Express, which is known for its danger, isolation and beauty. The kicker is the 10 contestants need work together to reach the end – in 28 days (of course there’s a time limit.) If they do, they split a pot of $500,000. It’s truly pushing yourself to the limit – mind & body. And dealing with nine other personalities – all of which were picked to be a part of the competition for a reason by the producers, I’m sure. Did mention the trek is just a mere 750 miles? One of the contestants in the competition is Kaleb Summers, a self-employed contractor from Claremore, Oklahoma. Several of the contestants intrigued me – including Ret. Navy Seal, Don Mann, who is just overall B.A., but it came out Kaleb is an avid bowhunter and it turns out – big into catfish noodling. Voila, a “5 Minutes with…” is born. Enjoy. Q: Kaleb, “The Brigade” is a departure for the typical hunt/shoot/fish programming on Outdoor Channel. For one, hunting is not even in the cards on this show. But you’ve mentioned to me earlier that you are an avid bowhunter. Did you bring your bow on the show with you, just in case it could be useful? Or thought about bringing it? A: One of my most frequent questions to producers during interviews before I knew I would be chosen was how we were going to eat. I figured I could hold my own in northern country with my fishing rod, but I felt really solid about keeping us fed if they were going to let me hunt along the route. I had to keep in mind the time frame we would be traveling through, and most wild game seasons weren’t matching up with our trip. Needless to say, they wouldn’t even let me bring my slingshot. Hunting was out of the question, and I knew that was going to hurt. Q: What is your biggest takeaway after being on this harrowing journey? A: That you can push your body to extreme physical limits and do it for long amounts of time regardless of what your mind tells you it can do. Whether that means overcoming numb limbs from pushing through ice cold water or paddling upstream against gnarly currents for 8+ hours straight, seven days a week. Imagine doing that on extreme food rations, a handful of nuts and maybe a slice or two of dried fruit to get you through all day until your one meager meal that evening. Q: That honestly doesn’t sound fun to me – so let’s switch gears. Share with us your best bowhunting adventure. Where was it – who was with you? Half hour later, he’s there. He’s big, he’s in the rut and he’s on the hunt. My heart is beating like war drums as he closes in from 40, to 30, to 25 yards, and at that point he stops. I wouldn’t take the shot because I wouldn’t let myself chance wounding or gut punching my opponent, it would’ve been downright disgraceful. Letting that deer walk away that morning was the toughest thing I ever did. The following morning, I was back in the same spot, this time my release was strapped before I left the truck. Soon, I hear a stick crack and there he was again at about 12 yards and closing. At 8 yards he stopped mid-stride, and as he held his leg up from the ground, his ears slowly laid back, he looked like a coiled spring fixing to bounce. I sent a Magnus Stinger careening through his armpit less than a moment later. I leaned against the tree and sighed relief, and recall feeling a sense of sadness at the same time as I knew the game between us was over. He was a great buck and an even better teacher. Q: Whoa! That was intense! Ok, last question. I heard you are a rodeo guy. Share with us your specialty and do you still compete? A: My career in rodeo has taken me for the greatest ride one could ever imagine. I began steer wrestling at 15-years-old, and after my high school and college rodeo career, I graduated from Oklahoma State and took a long break from rodeo to work solely on guiding noodling and hunting trips. I topped out in the sport of noodling after winning the Okie noodling tournament in ‘12 with a record 71-pound flathead. But I began missing the crowds and adrenaline of bulldogging steers. I’ve been going hard ever since, qualifying for the Indian National finals rodeo in Vegas in ‘17 and filling my permit in the PRCA where I still currently bulldog in the pro rodeos. My rodeo summer of ‘18 was proudly sacrificed in order to compete on “The Brigade” so I could possibly set myself up in a better position to rodeo full time for the ‘19 season. I just bought a really nice grey horse out of south Texas to haul all summer long, so wish me luck and maybe I’ll see some of you at one of the big rodeos this summer! Thank you, Kaleb, for taking the time to chat with me - I can’t wait to see how “The Brigade” ends – Michelle Scheuermann, Editor, Archery Wire.